When so-called progressive parties like the Liberals promise and then don't deliver, it unfortunately opens the door for the right-wing parties.? Where is a comprehensive housing program for Canadians? Where?is the national pharmacare program for Canadians? Why was Jody Wilson-Raybould — the first Indigenous Canadian to hold the justice portfolio, demoted if you believe in Reconciliation? Why did?Trudeau take the low road by not giving Jagmeet Singh the professional courtesy he deserved running in Burnaby South?? And the issue probably most Canadians are presently upset about - why is Ms?Wanzhou under house arrrest in her own multi-million dollar home in the tony?West side of Vancouver while several Canadians are now languishing in Chinese jails!? 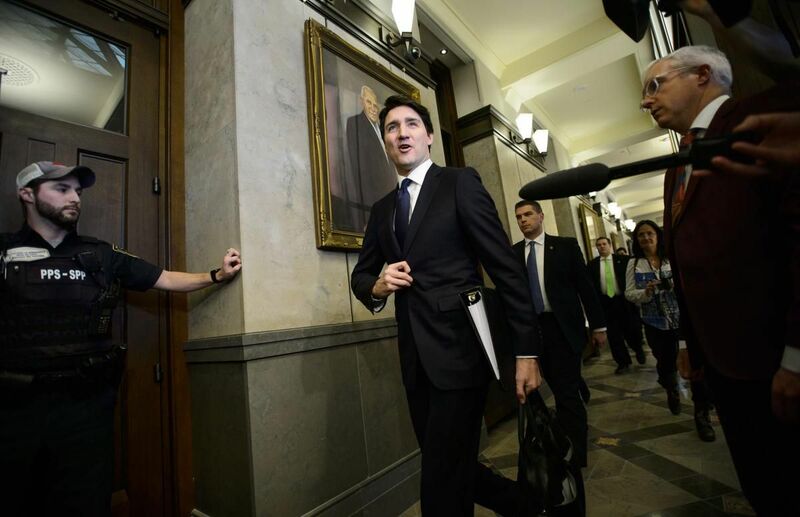 Even before the opposition parties had the opportunity to fire their first question period shot of the year on Monday, Justin Trudeau’s Liberals were walking wounded. From a cabinet shuffle that raised questions in many quarters about the prime minister’s commitment to Indigenous reconciliation to the firing of Trudeau’s handpicked envoy to China in the midst of a major dispute and including a byelection mess in Burnaby South, the first three weeks of 2019 have been bruising ones for the ruling party. Remarkably all the hits the Liberals have been taking since the New Year have been self-inflicted. The shuffle was meant to ensure the cabinet was battle-ready and, ideally, more bulletproof as the ruling party enters an election year. But Trudeau’s decision to move Jody Wilson-Raybould — the first Indigenous Canadian to hold the justice portfolio — to the lower-profile post of veterans’ affairs AND the replacement of one of his top cabinet performers with an less-than-overwhelming one at Indigenous services stole the show. It was predictably seen as a negative signal on the reconciliation front. From the start, the Burnaby South byelection saga did not feature the Liberals at their best. They looked cynical when they declined to give NDP Leader Jagmeet Singh an early opportunity to run for the seat last fall only to then have to replace candidate Karen Wang almost overnight after she appealed to the Chinese community to vote along ethnic lines in the Feb. 25 vote. Coming as it did in the midst of a serious dispute with China over American demands that Huawei executive Meng Wanzhou be held until she can be extradited to the U.S., the firing this weekend of John McCallum as ambassador to Beijing has made the government look inept in its handling of a top-of-mind foreign policy file. It compounded a week of mixed federal messages on the issue. The sum of the accumulated blunders is the increasingly widespread perception that the government is flying by the seat of its pants on the policy front and going into an election year on little more than a wing and a prayer. Perhaps when Jagmeet is in the House of Commons things will begin to change.? The more I read Chantal’s works, the more obvious it is she’s just a liberal hack! Shes only a propaganda writer with a veil cloak already blown away.? I dunno. Maybe for the same reason that the NDP took "the low road" by not giving Trudeau the leader's courtesy he supposedly deserved in 2015? And the issue probably most Canadians are presently upset about - why is Ms?Wanzhou under house arrrest in her own multi-million dollar home in the tony?West side of Vancouver while several Canadians are now languishing in Chinese jails! Probably because Trudeau?has?neither the power to tell Canadian?courts what to do in regards to granting bail, nor the power to tell Chinese courts who they?can and can't send to jail. ? And the NDP ran byelection candidates against Stephen Harper, Joe Clark, Jean Chretien, Stockwell Day. She's a Liberal hack alright but she's begged the question of the choice between the Conservatives and the Liberals. We refuse to acknowledge that at our peril. ?